An MJ decrim bill moves in Alabama, an asset forfeiture reform bill moves in Kansas, a new report tallies the toll of rising drug, alcohol, and suicide deaths, another report warns of problems in Colombia, and more. Alabama Senate Committee Advances Marijuana Decriminalization Bill. The Senate Judiciary Committee voted Thursday to approve Senate Bill 251, which would decriminalize the possession of less than two ounces of marijuana. But at the same time, the House Judiciary Committee defeated a similar bill, House Bill 272. The Senate bill now heads for a Senate floor vote. Ohio Bill to Block Awarding of Medical Marijuana Business Licenses Filed. State Sen. Bill Coley (R-West Chester) has filed a bill to temporarily halt the issuance of licenses for growers, processors, and testers to allow fixes with what he has identified as problems with the system. The move comes as lawsuits by entities not awarded licenses are underway and as others have criticized aspects of the selection process. Coley's bill is not yet available on the legislative web site. Kansas House Approves Asset Forfeiture Reform Bill. The House on Thursday gave final approval to House Bill 2459, which doesn't end civil asset forfeiture, but would impose stricter reporting requirements on all law enforcement agencies. The bill now goes to the Senate. Report: Alcohol, Drug, Suicide Deaths Hit New High. A new report shows that 2016 saw the highest-ever number of US deaths tied to alcohol, drugs and suicide. Deaths attributed to the three causes rose by 11%, according to the "Pain in the Nation" report, to total a record-high 142,000. Alcohol related deaths have increased at a rate of 40% over the past decade, while deaths from synthetic opioids roughly doubled between 2015 and 2016, to nearly 20,000. 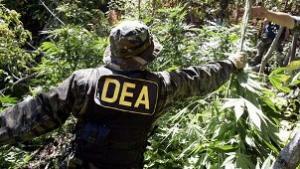 Criminal Violence Threatens Colombia Drug Crop Substitution: Report. 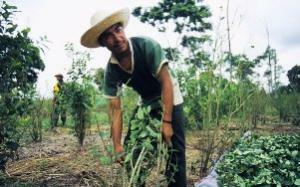 A new report from Colombian Ideas for Peace Foundation warns that homicide rates have jumped substantially in municipalities that are taking part in coca eradication program. The killings highlight the fragility of the government's eradication plan in the face of intensified violence among the country's fragmented criminal groups. Time Runs Out on British Parliament Debate on Marijuana Reform. Labor MP Paul Flynn's bill on marijuana law reform, which was set for parliamentary debate Friday, didn't get it. Instead, his colleagues on both sides of the aisle took so long debating other private members' bills that they ran out of time to take up the issue. An astounded Flynn accused MPs of filibustering, sparking an angry retort from the speaker's chair. Flynn was pushing especially for a way to make medical marijuana available in the country. An Arizona legalization poll has good numbers, asset forfeiture reform bills move in a couple of states, the Bureau of Justice Statistics reports on declining jail population numbers, Maine lawmakers appear ready to do away with pot social clubs the voters voted for, and more. Arizona Poll Shows Strong Support for Legalization. A new poll from OH Predictive Insights and the Consumer Choice Center had support for marijuana legalization at nearly two-thirds. Some 62.9% of respondents supported taxing and regulating marijuana like alcohol, with 40.9% strongly supporting it. Voters in the state narrowly rejected a legalization initiative in 2016; efforts are underway to get one on the ballot this year. Illinois Will Put Non-Binding Legalization Question on November Ballot. The Senate Executive Committee voted Wednesday to put a non-binding question on the ballot asking voters whether they would support marijuana legalization. Meanwhile, a legalization bill awaits action in the legislature. Maine Lawmakers Erase Social Consumption. Lawmakers working to get the state's legal marijuana industry off the ground have eliminated any reference to social clubs where people can use marijuana, even though the initiative passed by voters in 2016 included them. "No other state has licensed social clubs," said Sen. Roger Katz, R-Augusta, co-chairman of the implementation committee. "This is clearly the law, but it passed by the narrowest of margins. We ought to go slow and be conservative." 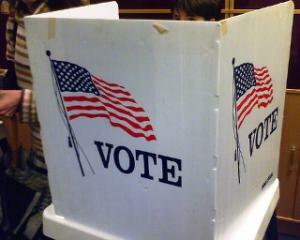 The move came in a straw vote Wednesday; a final committee vote is set for Friday. West Virginia Legalization Bill Filed. A Democratic congressional candidate who is also a current state senator filed a legalization bill Monday. Sen. Richard Ojeda (D-Logan) filed Senate Bill 593, which would allow adults to possess up to four ounces at home and two ounces in public and grow up to four seedlings and four mature plants. The bill does not contemplate a system of taxed and regulated marijuana commerce. Indiana CBD Bill Wins Committee Vote. The House Courts and Criminal Code Committee voted Wednesday to approve Senate Bill 52, which would allow the legal sale of CBD cannabis oil with low THC levels. The bill is one of a number filed to address the state's CBD mess, which was created when the legislature passed a bill last year allowing for its use, but which left no means to legally obtain it. Maryland Bill to Lengthen Prison Sentences for Opioid Overdose Deaths of Minors Gets Hearing. The House Judicial Committee held a hearing Tuesday on House Bill 649, which would impose a prison sentence of up to 30 years for anyone convicted of selling or giving heroin, fentanyl, or other opioids to a minor who then overdoses and dies. Under the bill, even sharing drugs that result in a fatal overdose by a minor could result in a conviction. No vote was taken. Similar bills have been introduced in recent years, but went nowhere. Idaho House Approves Civil Asset Forfeiture Reform Bill. The House voted unanimously Wednesday to approve House Bill 447, which does not eliminate civil asset forfeiture, but does restrict it. The bill would ban police from seizing cash or property merely because it is in close proximity to an illegal substance and it would ban the seizure of vehicles unless they are connected to trafficking offenses. It also imposes new reporting requirements. The bill now goes to the Senate. Kansas House Gives Preliminary Approval to Civil Asset Forfeiture Reform Bill. The House voted Wednesday to give preliminary approval to House Bill 2459, which doesn't end civil asset forfeiture, but would impose stricter reporting requirements on all law enforcement agencies. The bill was set for a final House vote Thursday. Jail Incarceration Rate Has Declined. 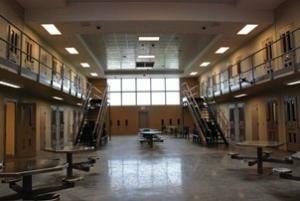 The Bureau of Justice Statistics announced Thursday that the percentage of US residents in jail has declined since 2012. At midyear 2016, the jail incarceration rate was 229 per 100,000 residents, down 3.4% from 2012 and down 11.2% from 2008, the year jail populations peaked. There were some 740,700 inmates in jails at midyear 2016. Nearly two-thirds (65%) of those in jail had not been convicted of a crime, but were awaiting trial. Philadelphia DA Will Stop Jailing People Accused of Low-Level Crimes Who Can't Afford Cash Bail. District Attorney Larry Krasner said Wednesday his office will stop jailing people who can't afford to pay cash bail in minor criminal cases, including drug cases. The move is the latest in a growing movement that argues that the practice unfairly targets poor Americans. "There is absolutely no reason why someone who will show up for court, is not a risk of flight, is not a threat to their neighbors and community should sit in jail for days or weeks or months or years because they can't post a small amount of bail," said Krasner, a civil rights lawyer who ran on a liberal platform last year opposing mass incarceration. "We do not imprison the poor in the United States for the so called crime of poverty." Ohio's medical marijuana program may have just hit a bump, hemp could be coming to Utah, drug users march for decriminalization in Vancouver, demonstrators will gather in DC next week to protest the Philippines drug war, and more. Ohio Lawsuit Challenges Grow License Process. A lawsuit filed Tuesday by would-be medical marijuana grow operators who weren't picked for the large grow licenses issued by the state Department of Commerce threatens to disrupt the rollout of the program. The growers are suing the department, the officials involved in grading application, and all the businesses that won licenses. They charge they weren't treated fairly in the licensing process. West Virginia Regulators Will Recommend Allowing Smokeable Medical Marijuana. The state medical marijuana board announced Tuesday that it plans to recommend to lawmakers that some patients be allowed to use marijuana in a smokeable form. The board will also recommend removing or increasing the cap on the number of growers, processors, and dispensaries in the state and allowing one company to take on more than one of those roles. Utah Hemp Bill Advances. A bill that would allow the production and sale of hemp products in the state is headed for a House floor vote after being approved Tuesday by the House Natural Resources, Agriculture and Environment Committee. House Bill 302 authorizes the state Department of Agriculture and Food to provide a hemp-growing license to "a person who wishes to participate in an industrial hemp research pilot program," according to a summary attached to the bill. The bill also allows those who would like to produce and sell hemp-based products "to distribute the registered hemp product in the state" if they obtain the license from the state to do so. Wisconsin Asset Forfeiture Reform Bill Passes Senate. The state Senate has approved Senate Bill 61, which does not end civil asset forfeiture, but puts limits on how long police can hold property before someone is charged and reduce the amount of money police can keep when they sell seized property. The measure now heads for the Assembly. Trump Budget Would Cut Aid to Colombia in Half. The White House's proposed Fiscal Year 2019 budget would slash foreign assistance to Columbia by nearly half, even as the country struggles to implement a peace deal with leftist FARC rebels and address a record-breaking level of coca planting and cocaine production. The budget would reduce funds "to implement sustainable peace" in the "most affected zones" of the country's drug prohibition-fueled armed conflict from $180 million to $100 million. The budget also seeks a reduction of one-third in funding for the International Narcotics Control and Law Enforcement program. Colombia is a major recipient of aid under that program, too. The Washington Office on Latin America said the budget proposal would "squander an historic opportunity to help Colombia avoid a resurgence of criminal violence, while Insight Crime noted that "large cuts in aid could prove detrimental to efforts aimed at improving security conditions in… crime-wracked countries" like Colombia. Vancouver Drug Users March to Demand Drug Decriminalization. Several hundred drug users and supporters took to the streets of Vancouver's Downtown Eastside to demand that the federal government change its drug policies and embrace drug decriminalization. The protest, part of a national day of action across the country, was organized by the Canadian Association of People who Use Drugs (CAPUD), the Vancouver Area Network of Drug Users (VANDU) and other groups. Decriminalization would "allow people to use drugs more safely without fear of arrest and detention," said Caitlin Shane, a lawyer with Pivot Legal Society who specializes in drug policy. DC Demonstration Against Philippine Drug War Killings Set for Next Wednesday. On Wednesday, February 28th, please join Filipino Americans, drug policy reformers and other human rights defenders to call for an end to extrajudicial killings and for Senator de Lima to be freed. 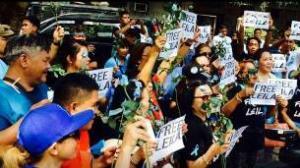 We will rally from noon to 1:00pm in front of the Philippines Embassy, 1600 Massachusetts Avenue NW in Washington, DC. Among other things, the event will feature a street theater performance in which attendees will symbolically free a Senator de Lima figure from a realistic mobile model of a prison cell. Please email David Borden at [email protected] to get involved in preparations for this demonstration or for other information, and please spread the word! In Fort Lauderdale, Florida, a former Fort Lauderdale police officer was sentenced last Friday to 16 months in prison for stealing more than $310,000 from the department's asset forfeiture fund. 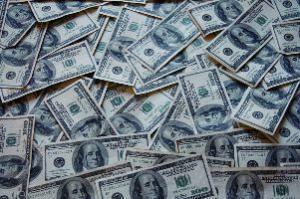 Gerard Brady, 34, had been named forfeiture coordinator in 2010 and started skimming cash in December 2012. He also has to repay more than $225,000. In Marksville, Louisiana, an Avoyelles Parish jail guard was arrested last Friday after he was caught bringing drugs and other contraband to work. Corrections Officer Requan Steven Mingo was carrying synthetic cannabinoids, meth, and cell phones. He is charged with introduction of contraband into a penal institution, possession of schedule I CDS with intent to distribute, possession of schedule 2 CDS with intent to distribute and malfeasance in office. In Hagerstown, Maryland, a Hagerstown police officer was arrested last Friday for allegedly peddling pain pills. Sgt. Christopher Barnett went down after he was caught on video giving narcotic pills to another person. He is charged with distribution of controlled dangerous substance, possession of a controlled dangerous substance, malfeasance in office and theft under $100. The president accuses Mexico and Central American countries of not doing enough to fight our drug war, a group of senators joins the call to save ONDCP, the German police association calls for marijuana legalization, and more. Virginia House Passes CBD Bill. The House has passed a bill, House Bill 1215, which would allow doctors to prescribe CBD cannabis oil for any medical condition. A companion measure is up for a vote in the Senate next week and is expected to pass. Indiana Senate Passes Asset Forfeiture Reform Bill. The Senate has unanimously approved Senate Bill 99, which does not end civil asset forfeiture, but does require prosecutors to file an affidavit for probable cause within seven days after a seizure and file asset forfeiture motions within 21 days if the owner of the property has objected in writing, 90 days if he has not. Under current state law, property can be held up to six months before the state decides to file a forfeiture claim. The bill now heads to the House. US Senators Call on Trump Administration to Keep Drug Czar's Office Intact. A dozen senators have written to the Office of Management and Budget (OMB) and to the Senate leadership urging them to block proposed changes to the Office of National Drug Control Policy (ONDCP -- the drug czar's office) that would essentially gut it. OMB has proposed moving two major grant programs -- HIDTA and the Drug-Free Communities -- out of ONDCP, which would reduce the office's budget by 95% as the nation confronts an opioid crisis. Trump Threatens to Cut Aid to Mexico, Central America Over Drugs. President Trump last Friday threatened to cut off aid to countries from which illicit drugs are imported into the United States. "I want to stop the aid. If they can't stop drugs from coming in, 'cause they can stop them a lot easier than us. They say, 'oh we can't control it.' Oh great, we're supposed to control it," the President said. "So we give them billions and billions of dollars, and they don't do what they're supposed to be doing, and they know that. But we're going to take a very harsh action. We want strong borders. We want to give you laws. We want to stop the catch and release nonsense that goes on. You catch somebody and you release them. You know they're bad," he said. "They're pouring in from El Salvador, Guatemala, Honduras, Mexico, all over. They're just pouring into our country. These countries are not our friends, you know. We think they're our friends, and we send them massive aid, and I won't mention names right now," he said. "But I look at these countries, I look at the numbers we send them, we send them massive aid and they're pouring drugs into our country and they're laughing at us." German Police Call for Marijuana Legalization. The Association of German Criminal Officers (BDK) has come out in favor of ending marijuana prohibition. "The prohibition of cannabis has historically been seen as arbitrary and has not yet been implemented in an intelligent and effective manner," the head of BDK, André Schulz, told Bild newspaper on Monday. "in the history of mankind there has never been a society without the use of drugs; this is something that has to be accepted," he added. "My prediction is cannabis will not be banned for long in Germany." The BDK thus calls for a"complete decriminalization of cannabis use," Schulz said, adding that the current legal system is stigmatizing people and promoting criminal careers. Philippines Drug War Killing Ratchet Up Again. The Philippine National Police announced last Friday that nearly 50 people suspected of using or selling drugs had been killed by police in the past two months. That's the period that the National Police have been back on the job in the drug war -- after President Duterte temporarily pulled them away last year after officers were found to have killed three teenagers and lied about their deaths. Republican legislators are gumming things up in Maine and Virginia, a big coalition calls for preserving the drug czar's office, Amnesty International warns the Philippines, and more. Maine Republicans Set to Delay Adult Use Sales. With a moratorium on legal marijuana sales set to expire Thursday, the state GOP is moving to push back the date legal sales can begin. The Senate Tuesday approved Republican Sen. Roger Katz's bill to delay sales until the spring, but Republican House Leader Ken Fredette is calling for a delay in recreational sales until next year. Gov. Paul LePage (R) has also been an obstacle to implementing the will of the voters, who approved legalization in November 2016, some 14 months ago now. Virginia Senate Republicans Kill Decriminalization Bill. Nine Republicans on the Senate Courts of Justice Committee voted Monday to kill Senate Bill 111, which would have decriminalized the possession of small amounts of marijuana. The Senate action followed action in the House, where Republicans already killed a similar bill. Idaho Civil Asset Forfeiture Reform Bill Filed. The House Judiciary and Rules Committee is taking up a bill that would reform, but not eliminate, civil asset forfeiture in the state. The bill would prevent forfeiture in cases of simple drug possession and would prevent forfeiture of large quantities of cash unless there is evidence of criminal activity. The measure is RS25826, which is not yet available on the legislative website. A similar bill passed the legislature last year, only to be vetoed by Gov. Butch Otter (R). Coalition Calls for Trump Not to Gut Drug Czar's Office. 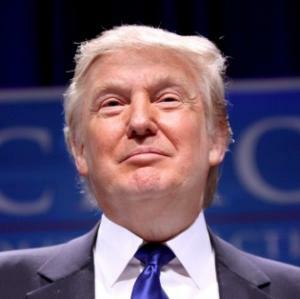 More than 150 groups have signed onto a letter sent Monday to the White House opposing the Trump administration's proposed plans to radically cut funding the Office of National Drug Control Policy (ONDCP -- the drug czar's office) and move its grant programs to other agencies. The move would "create an unnecessary distraction from efforts to save our lives," the groups said. Signatories include groups from the prevention, treatment, recovery and criminal justice communities, and more. "Not only would such a move drastically weaken these vitally important programs, and force them to compete for priority, direction, and funding in larger agencies with competing and higher priorities, but it would significantly impact ONDCP's ability to effectively carry out its mission," the groups, led by the Addiction Policy Forum, wrote. New York Activists Press Lawmakers to Approve Safe Injection Sites. Drug policy reform advocates gathered in Albany Monday to urge lawmakers to act on a bill that would allow for the creation of safe injection sites in the state. Legislation was filed last year by Assemblywoman Linda Rosenthal (D-Manhattan), but never acted on. If state Sen. Fred Akshar (R-Binghamton), head of the Senate Heroin Task Force, has his way, it won't be acted on either. "Our state dollars should not be going to a facility that is allowing people to continuously inject drugs," he told the New York Daily News. 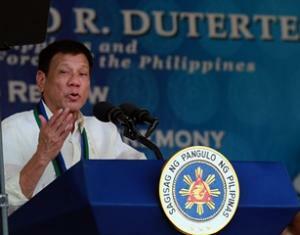 Amnesty International Demands Philippines Hold Police to Account for Unlawful Drug War Killings. Responding to news that the Philippine National Police have resumed their role in waging President Duterte's bloody war on drugs, Amnesty International warned that police killers must be held to account. "The Philippines neither can nor should try to solve its drug problems at gunpoint," said James Gomez, the group's director for Southeast Asia and the Pacific. "Since President Duterte came to power, police have unlawfully killed thousands of people, the vast majority of them from poor and marginalized communities, in attacks so extensive and brutal they may well amount to crimes against humanity. Now that police are once more returning to the forefront of anti-drug operations, the government must make sure that there is no repeat of the bloodshed seen during the past 18 months." State Department Drug Agency Vows to Support Duterte's War on Drugs. The State Department's Bureau of International Narcotics and Law Enforcement Affairs ("drugs and thugs"), says it will continue to support the Philippines drug war. "We are aware that the police are continuing the resumption of their operations. Many folks have been tracking the EJKs (extrajudicial killings) and the Philippines. There are some [encouraging things] that were seen, some of our human rights training [is] working and so I would describe [the] United States being cautiously optimistic... when it comes to a good, appropriate way of [carrying out the anti-]drug campaign," Deputy Assistant James Walsh said in a Tuesday press briefing. "And so we'll just monitor that and we'll continue supporting the government of the Philippines with our rule of law, our demand reduction programs and our maritime assistance," Walsh added. A pioneer of the medical marijuana movement is dead, the conservative group ALEC calls for reform of drug-free zone laws, the Trump administration is turning to private prisons, and more. Florida Democratic Gubernatorial Candidate Calls for Marijuana Legalization. "Legalize it. Tax it. Use the revenue to fix Florida's public schools and move us up from 29th in the nation to #1." That's what Tallahassee Mayor Andrew Gillum tweeted last week in response to an NBC/Wall Street Journal poll showing 60% of Americans favor legalization. No other candidate supports legalization, but at least two have called for decriminalization. Although at least five Democrats are running, Gillum is one of the leading contenders. 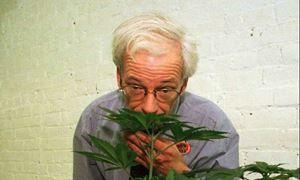 Dennis Peron, "The Father of Medical Marijuana," Dead at 72. A key player in California's groundbreaking embrace of medical marijuana has died. Dennis Peron, an AIDS activist whose partner, Jonathan West, died of the disease in 1990, argued for the benefits of medical marijuana for AIDS patients, opened the nation's first dispensary in San Francisco, and was a driving force behind the city's 1992 ordinance allowing medical marijuana. That was the first step toward the state's historic passage of Prop 215 four years later. Peron was 72. He died of lung cancer at a San Francisco hospital. Kansas Civil Asset Forfeiture Reform Bill Filed. The House Judiciary Committee has filed House Bill 2459, which would not eliminate civil asset forfeiture, but would create a process for people to file a claim on seized property and assets. The bill was the result of an effort by the Kansas Judicial Commission to draft reform recommendations after eight different reforms bills were offered last year. In a hearing last week, the bill won the support of the Kansas Bureau of Investigation, although no vote was taken. South Dakota Bill to Allow Drug Testing of Infants Advances. The Senate Health and Human Services Committee voted 6-1 last week to approve Senate Bill 105, which would allow doctors to drug test newborns for up to 28 days for evidence of prenatal drug exposure. The measure would absolve health care workers from any civil or criminal liability related to the test. Doctors would be required to report positive test results to the state. The bill now heads to a Senate floor vote. ALEC Calls on States to Reform "Drug-Free Zone" Laws. The conservative, pro-business American Legislative Exchange Council (ALEC), which drafts model bills for state legislatures, passed a resolution last Friday calling on states to reform drug-free zone laws. Such laws impose stiffer penalties for drug offenses committed within such areas, typically around schools, churches, and parks. They have been criticized as unduly harsh and having a disproportionate racial impact. "Most Drug-Free Zone laws were established decades ago," the resolution says, "but have not been reformed despite evidence that Drug-Free Zones are arbitrary and often unnecessarily broad, are ineffective at deterring drug- related crime, and create significant unintended consequences, including unwarranted disparate impacts on minority defendants." Trump Administration Seeks to Boost Use of Private Prisons.The Bureau of Prisons now has the goal of "increasing population levels in private contract facilities," a memo sent last week by the agency's Assistant Director for Correctional Programs Division Frank Lara said. The memo follows guidance from Attorney General Jeff Sessions to reverse an Obama-era policy to reduce reliance on private prisons. DOJ is also seeking to cut federal prison guard positions. It took him a year, but Attorney General Sessions has now torn up the Cole memo, opening the way for a renewed federal war on marijuana. Vermont legislators are advancing a legalization bill anyway, New York's governor calls for criminal justice reforms, and more. Sessions Opens Door to Renewed Federal War on Marijuana. Attorney General Jeff Sessions announced Thursday that he had rescinded the Obama-era Cole memo, opening the way for federal prosecutors to go after marijuana in states where it is legal. The Cole memo, which directed prosecutors to take a laissez faire approach to state-legal marijuana except for specified circumstances (violence, diversion, use by children, etc.) undermines "the rule of law," Sessions said in a statement. 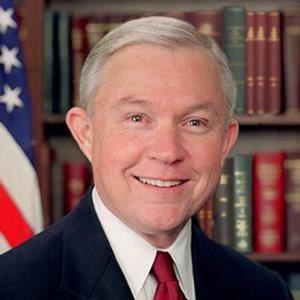 "Today’s memo on federal marijuana enforcement simply directs all US attorneys to use previously established prosecutorial principles that provide them all the necessary tools to disrupt criminal organizations, tackle the growing drug crisis, and thwart violent crime across our country," he said. New Hampshire Legislature Postpones Vote on Legalization Bill. The House voted Wednesday to postpone until the next calendar session a vote on a marijuana legalization bill, House Bill 656, because one of its chief proponents was out of the country. The bill would allow for personal possession and cultivation of small amounts of marijuana, as well as setting up a system of regulated and taxed sales. Vermont Legalization Bill Moving Forward Fast. The House Judiciary Committee approved the marijuana legalization bill, Senate Bill 22, and the House on Thursday rejected two attempts to slow passage. One Republican-led effort sought to delay a vote until mid-month, while the other sought to delay legalization until 2019. The House may well have passed the bill by the time you read these words; if so, it would then go back to the Senate for a final vote. The measure would legalize the possession and cultivation of small amounts of marijuana, but not retail sales. South Dakota Attorney General Seeks Stiffer Sentences for Meth Sales. State Attorney General Marty Jackley (R) said Tuesday he intends to ask the legislature to impose tougher sentences for meth distribution, and he had a unique reason for doing so: He argued that it would lead to fewer people in prison because it would scare meth dealers away. He is proposing raising the maximum sentence for distribution from 10 to 15 years, among other enhanced penalties. Jackley is seeking the Republican gubernatorial nomination. New York Governor Calls for Criminal Justice Reforms. Gov. Andrew Cuomo proposed sweeping changes in the state's criminal justice system Thursday. Among them are: Eliminating cash bail for defendants facing misdemeanor and nonviolent felony charges, speeding up trials by forcing prosecutors to share evidence before the trial date, and asset forfeiture reforms. Mexico City Mayoral Candidate Calls for Personal Marijuana Cultivation. Mexico City residents should be able to grow their own marijuana, mayoral candidate Salomon Cherorivski said Wednesday. "My proposal is the legalization of private cultivation for personal consumption, not for sale, in homes in Mexico City," the center-left Chertorivski told Reuters. Chertoriviski is seeking the nomination of a left-right coalition for the mayoral candidacy. That coalition is currently polling second to a left-wing party in the Mesoamerican megalopolis. Australian Government Will Allow Medical Marijuana Exports. The federal government announced Thursday that it will allow the export of medical marijuana in a bid to boost opportunities for Australian producers. The proposal needs approval by the federal parliament, but the government is behind it, and the main opposition party has already signaled its support. Australian marijuana stocks surged on the news.